It gives us an immense pleasure to introduce our organization as one of the renowned supplier to provide high quality Brass Chairs. 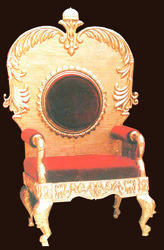 These chairs are used in various weddings, ceremonies and other more events. 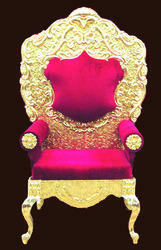 We made these chairs using finest quality materials in accordance with the quality standards. 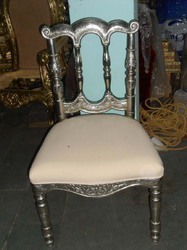 We are engaged in manufacturing a wide range of BrassWedding Chairs, which is renowned for their varied designs and patterns. We fabricate these tents using premium quality materials in accordance with the quality standards. These tents are immensely acknowledging due to their significant properties such as wind defiant, easy to install, sturdy construction and attractive. 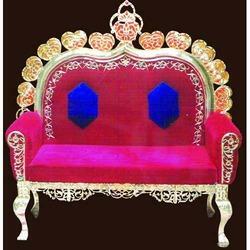 We are engaged in manufacturing a wide range of Indian Wedding Chairs, which is renowned for their varied designs and patterns. These tents find wide usage in various hotels, resorts, farm houses and base camps. 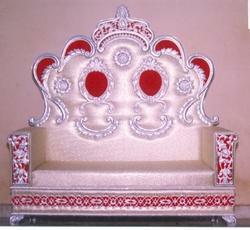 These products are available in various sizes, shapes as per the requirements and needs. 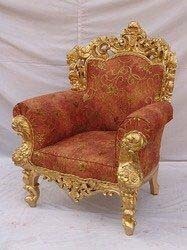 We are engaged in manufacturing a wide range of Brass Wedding Chairs, which is renowned for their varied designs and patterns. We fabricate these tents using premium quality materials in accordance with the quality standards. These tents are immensely acknowledging due to their significant properties such as wind defiant, easy to install, sturdy construction and attractive. We are engaged in manufacturing a wide range of Stylish Wedding Chairs, which is renowned for their varied designs and patterns. We fabricate these tents using premium quality materials in accordance with the quality standards. These tents are immensely acknowledging due to their significant properties such as wind defiant, easy to install, sturdy construction and attractive. 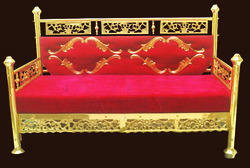 We are engaged in manufacturing a wide range of Maharaja Brass Sofa, which is renowned for their varied designs and patterns. We fabricate these tents using premium quality materials in accordance with the quality standards. These tents are immensely acknowledging due to their significant properties such as wind defiant, easy to install, sturdy construction and attractive. We are engaged in manufacturing a wide range of Stylish Wedding Brass Chairs, which is renowned for their varied designs and patterns. We fabricate these tents using premium quality materials in accordance with the quality standards. These tents are immensely acknowledging due to their significant properties such as wind defiant, easy to install, sturdy construction and attractive.